Eddie Hearn insists that Anthony Joshua is not looking past Alexander Povetkin, but the promoter is already looking at Joshua’s next challenger at Wembley Stadium in April. According to the Matchroom Boxing boss, Dillian Whyte is at the top of the list to face Joshua, if the unified champion successfully defends his WBA ‘super’ IBF, and WBO titles against Povetkin on September 22nd. Whyte seems to be near a fight with Dereck Chisora later this year, but Hearn is looking at Dominic Breazeale or Jarrell Miller as potential opponents. “Out of the three, it’s the fight the British public want,” said Hearn. 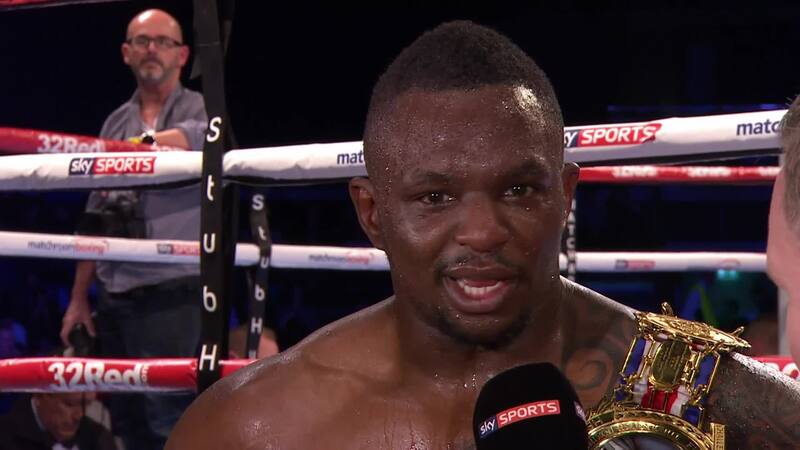 “I think Chisora has earned the rematch, to be honest. He looked finished against [Agit] Kabayel and then he produced that performance against [Carlos] Takam from the gods. How can you deny him the opportunity of a rematch? “What Dillian has got to decide is, if we sign that Joshua fight after the Povetkin fight for Dillian, what sort of fight does he want in between? Does he want a risk fight? While Hearn is looking at the bigger picture, Whyte is only focused on what’s next for him, whether it be Chisora or anyone else standing in his way. “Any of those three are big fights, and they are all hard fights. Any one of them, I’ll be happy with.